Metallica have posted a stream of the song The Day That Never Comes from their upcoming album, Death Magnetic. The 7:56-minute cut - which we must say sounds quite ballsy - is also streaming on Metallica's MySpace page (shouldn't it be called a 'TheirSpace' page?) and is available for purchase on iTunes. A video for the track was filmed in the desert outside LA with director Thomas Vinterberg. In other news, Metallica will headline the Reading and Leeds festivals this coming weekend (Leeds on Friday 22 Aug and Reading on Sunday 24 Aug). And if that weren't enough, the band has announced it will play super-cheap shows in London and Berlin to launch Death Magnetic. On September 12 they will perform at the new 17,000-capacity O2 World arena in Berlin, with tickets going for just 10 Euros, and on September 15 they play London's O2 Arena with tickets priced at five pounds. Proceeds from both shows go to local charities. A statement from the band explained the reasons for the cheap ticket prices: "Because this is a celebration, tickets prices will be, shall we say, 'retro?'" 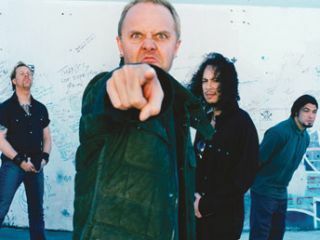 Metallica also stated that tickets, which are limited to two per order, are available to fans registered on the Mission: Metallica and Metclub websites. Good luck!